Mary began her career in the real estate/finance industry in 1987. She attended real estate school and earned her real estate license, and five years later, she transitioned into mortgage financing. Mary has worked in every aspect of mortgage banking, from processing, origination and underwriting to senior management. 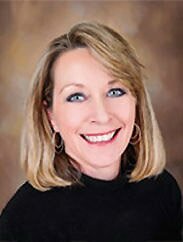 In 2016, Mary was an instrumental part in making Residential Mortgage Corp the first non-bank lender in North Carolina to perform a hybrid electronic closing (e-Closing). As a result of her efforts, she currently is part of the North Carolina Secretary of State Electronic Mortgage Closing Advisory Committee. A San Diego, California native, she has two daughters and three grandchildren.​ Outside of her family and mortgage lending, Mary’s big passion is baseball and she attended the first-ever San Diego Padres baseball game in April, 1969 – and after almost 50 years, she still holds out hope for a World Series win. You can contact me at (910) 483-1211 or by email at .